Comfort Publishing, LLC, 9781938388309, 260pp. in this sequel to the award-winning The Ugly Tree, Cane has always known that the handsome and sweet Justice Price, was the one. So, when he pops the question and offers her everything she's ever wanted and more, she readily accepts. But, when Cane learns a secret about Justice she panics, insists she needs some time to think things through and leaves for the summer, breaking Justice's heart and her own. Now in Colorado and living with her college roommate, a successful business woman who owns two companies, Cane takes a position for Caprice as both a maid and marketing co-chair with Caprice's musician cousin, Nikeo. It isn't long before he and Cane develop an adversarial friendship wrought with sexual tension that leaves them both on edge. Though her heart still belongs to Justice, Cane can't deny her attraction to Nikeo. 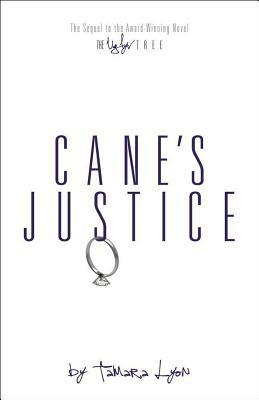 While she's trapped in a love triangle of her own making, Cane discovers that Justice may be in love with someone else. Will she find her happily ever after with Nikeo or Justice? Or will she lose them both?